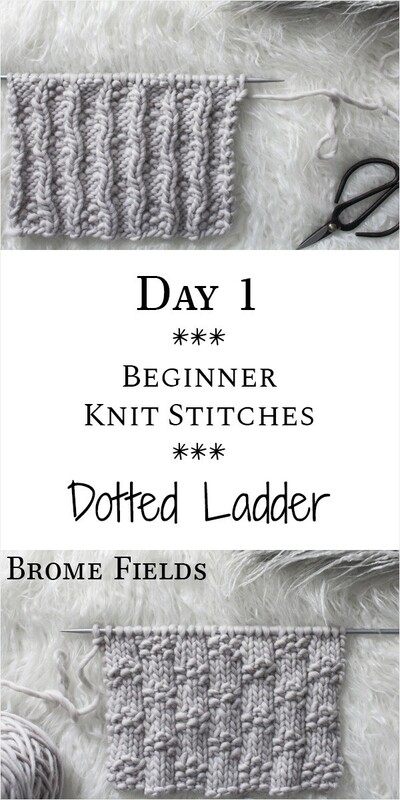 Welcome to Day 1 of the 21 Days of Beginner Knit Stitches Series! 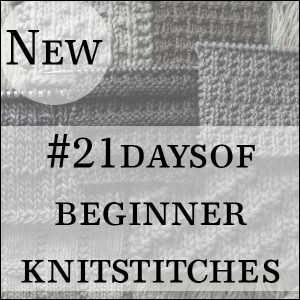 I’m working on a few new knit stitch series this year and the basics is a great place to start. I love working with knit and purl stitches! 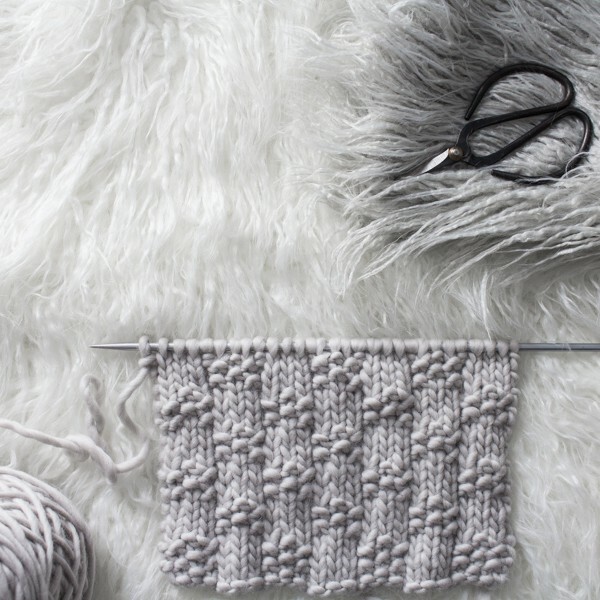 After all these years of knitting I’m still amazed at all the different textures and combinations you can create with these 2 basic stitches :) I’m so excited to share these with you! Since these are created only using different combinations of knit and purl stitches I decided not to create videos. 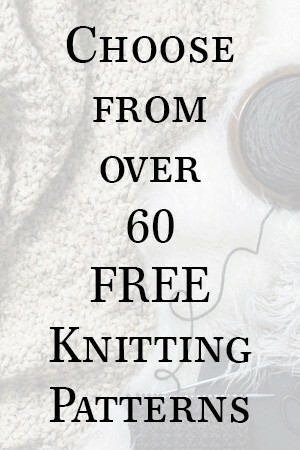 However, I will create videos for the advanced beginner stitches, lace stitches and cable knit stitches, which will be coming later this year. I really like this stitch! It’s squishy with lots of texture. Because it’s similar to a seed stitch it’ll use up more yarn than a stockinette stitch pattern. I hope you enjoyed this knit stitch, just add a border to design your own scarf or blanket. I think a garter stitch border would look nice all the way around. :) You’re very welcome! I bet that’s a pretty hand towel! These stitches are lovely thank you for sharing them. Hi! I am really in awe with this stitch! So playful! My question to you about this is does it curl like the plain stockinette if I knit a scarf? Thank you so much for sharing your talent. It is inspiring. It curls a little bit, nothing like stockinette stitch though. You can see it a bit in the photos. I think it would make a pretty scarf. I love both sides! I knit this swatch a little on the loose side, so I think that helps. Let me know if you have any other questions. You’re very welcome! I hope you enjoy the rest of the series :) Thank you! I’ve had several requests, so I created a free PDF, you can grab it near the bottom of the page :) Enjoy! The stitches are gorgeous! I prefer the “back” stitch. How would that work in a larger pattern? ie A jumper for a young girl or baby. Isn’t it though?! I love both sides. I think it would make a pretty scarf :) Even when it gets twisted it’s still pretty. 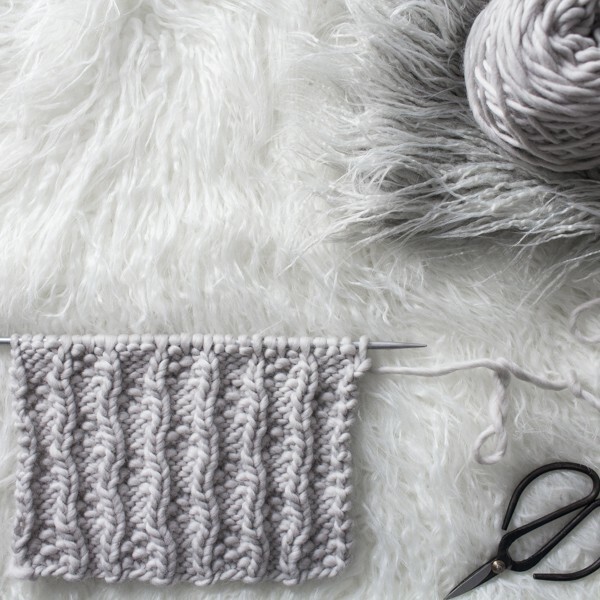 I’m not sure about a jumper… I know you’ll need to CO in multiples of 8+5, but as for the increases and decreases… that’s advanced and will take some trial and error… and lots of patience, at least for me. Great stitch…I prefer the wrong side! Wonderful stitch I can’t wait to get to the next one. I like this stitch pattern, but I can’t print out a copy to carry with me. I’m posting a new stitch at midnight each night. Enjoy!